Wild Caught Ahi Tuna. 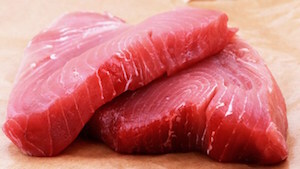 Sushi/Sashimi grade yellowfin and perfect portion sized. Caught of the Coast of the South Pacific Islands.